Instagram is making it easier for businesses to make sales by extending its ‘Shopping’ feature to eight new countries, including the UK. 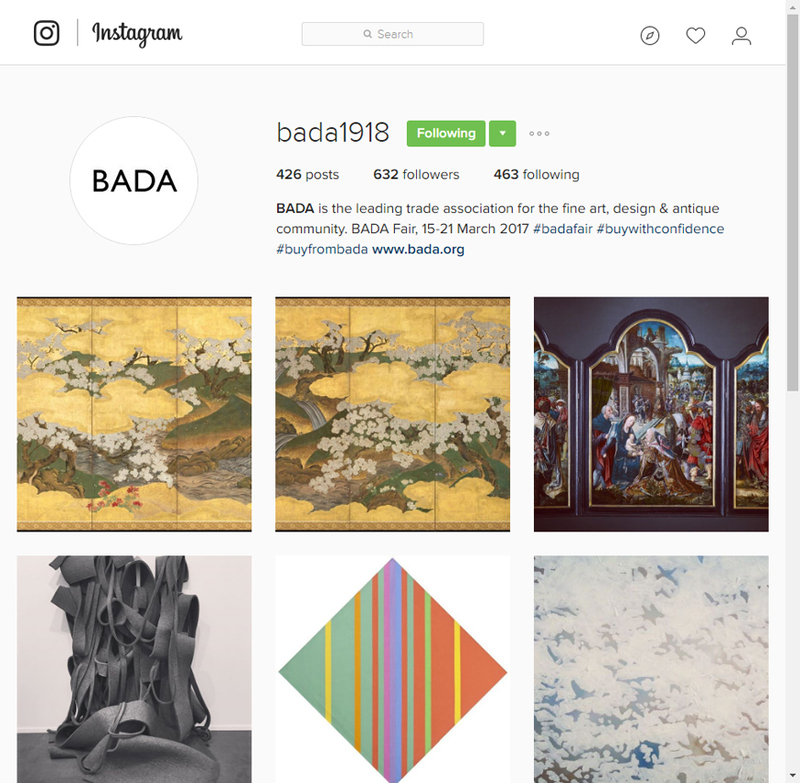 Antique dealers association BADA has been active in helping dealers incorporate Instagram into their businesses. BADA CEO Marco Forgione welcomed the new ‘Shopping’ feature saying it is “a huge, important step forward, as it’s a key tool used by buyers, collectors and interior designers to source both objects and inspiration on the site”. The social media platform, increasingly popular with art and antiques dealers for promoting items, has operated the ‘Shopping’ feature in the US since 2016. This facility allows those with Instagram business accounts to tag up to five items which link through to a “seamless” purchasing experience, according to Instagram. As well as the US, the ‘Shopping’ feature will now be launched in the UK, Canada, Australia, France, Spain, Germany, Italy, and Brazil. Using it is free of charge for business account holders but paid promotions to boost posts beyond an account holder’s own followers may well follow. Speaking about the latest development CEO of dealer’s association BADA Marco Forgione told ATG: “The ability to transact has been missing from Instagram. So given Instagram’s appeal to the trade, this is a huge, important step forward, as it’s a key tool used by buyers, collectors and interior designers to source both objects and inspiration on the site. In a further development, Instagram is also allowing business users to sync their account with their Facebook pages. Instagram, which launched in 2010, is an online mobile photo-sharing and video-sharing networking app. In 2012 it was bought by Facebook and now has more than 400m users around the world. Since it was launched, Instagram has deliberately tried not to present itself as a commercial platform. However, it has acted as a shop window for an increasing number of businesses in the art and antiques industry. This was reflected in 2016 when BADA organised a talk at the Royal Geographical Society in Kensington titled ‘Embracing Instagram: how creative content can engage a global audience’ to help members of the trade to exploit the potential of the platform to promote their wares. The new ‘Shopping’ feature means that when a user clicks on a tagged product that catches their eye, they will be able to see the name and price of the item. A further click then takes them through to a more detailed page. This page features more information on the item as well as similar items and other products available from the brand or business. A third step where the user then clicks a ‘Shop Now’ icon will then take them to the product on the business’s website where the transaction is completed. As an example of a sale as a direct result of an Instagram post, Sherborne dealer Patrick Macintosh sold a pair of c.1880 brass beds in a matter of minutes after posting a photo of the two frames on his page last year. He also sold an 18th century Florentine mirror for a mid-three-figure price on the back of another Instagram post. 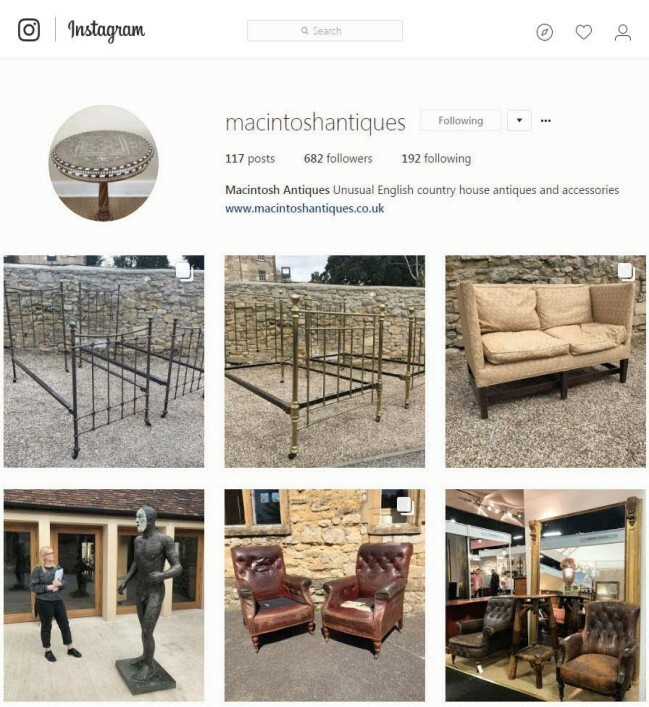 Macintosh Antiques, who reported last year that approximately a third of its stock posted on Instagram was snapped up almost immediately.